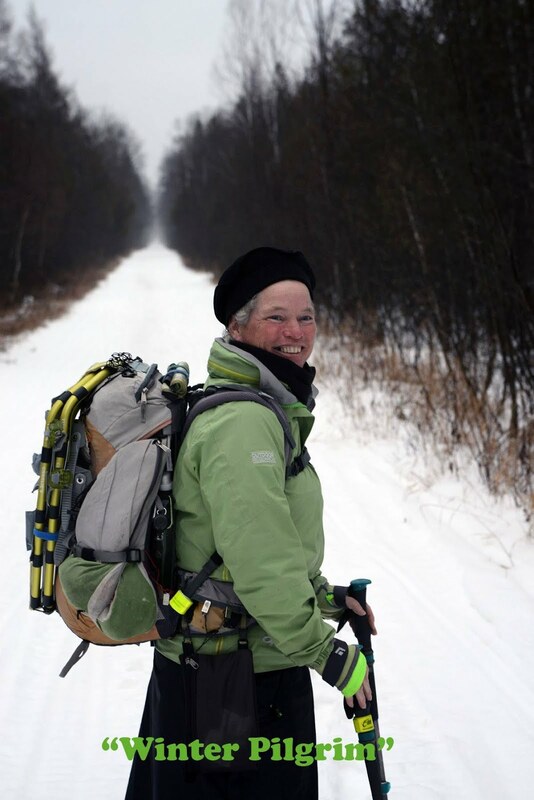 Ann Sieben, the “Winter Pilgrim,” has been a life-dedicated mendicant pilgrim since 2007. A mendicant pilgrim is one who travels on foot along ancient paths to significant destinations. She carries nothing of material value; no money, cell phone, camera, GPS unit, nothing anyone would be tempted to steal. Her pilgrim days are divided in two parts. One part is communing with nature, sensitive to the world surrounding her, as she walks village to village. The other part is communing with humanity; engaging with people and their communities to take care of her basic needs, like food and shelter. In these daily acts she is actively building trust in the world which is the foundation of peace. 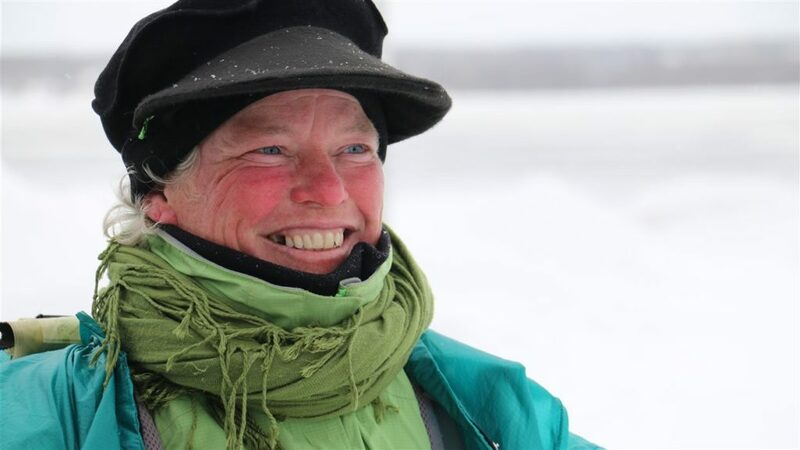 In her most recent pilgrimage, she left Denver, Colorado (her base when she’s in the U.S. and not on a pilgrimage) in November to trek more than 2,000 miles, from Colorado to the Shrine of Sainte-Anne-de-Beaupré in Quebec, Canada by Easter this past March 2016. With little more than the clothes on her back, including her bright green jacket for visibility, she walks with a handful of items in a small pack, and has received the countless hospitality of strangers-turned-family. For the most up-to-date whereabouts and reflections subscribe to the Society’s newsletter below or follow her whereabouts on her personal blog. Built by Arcana Design Co.